Clegg's Hotel, based in Ocean Beach, New York, provides guests at our waterfront hotel with fresh, tasty breakfast options each day with our continental breakfast. Whether you're enjoying a romantic getaway or just a vacation, visit our boutique B and B in Ocean Beach, NY, for an unforgettable experience. We offer a free continental breakfast in our conference room every morning from 8 a.m. to 11 a.m. All items are served fresh each morning from a local bakery. We have bagels, croissants, muffins, Danishes, coffee, orange juice, tea, and many other delicious options to choose from in our bed and breakfast style hotel. Most people when they are going on vacation are looking for a way to relax. To let their hair down and enjoy the sound of the Atlantic Ocean gently rolling onto the beach just a short walk away. This type of experience can be difficult to find in the hustle and bustle of most hotels. 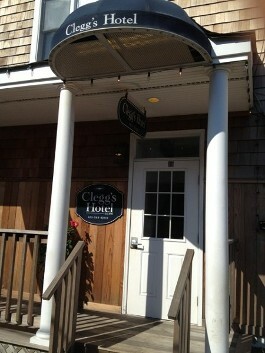 Fortunately, you can find that escape you are looking for by booking a room at our B and B in Ocean Beach, NY. Clegg’s Hotel is a waterside bed and breakfast that allows you to escape from the rushed pace and loud sounds of city life. In their place, our hotel room instead offers you the perfect ambiance that makes you feel as comfortable as you would feel at home, but with all of the amenities you want from an island retreat. Regular hotels tend to feel pretty impersonal. Also, with so many people running in and out of their rooms, staying at one of these hotels can end up feeling just as hectic as the workdays from which you are trying to take a break. So how do you get to enjoy the rest and relaxation you are after in a unique, warm, and welcoming atmosphere? You book a room at our waterside bed and breakfast. We have been welcoming guests for more than six decades and have become a tradition for many families. When you stay with us, you are able to enjoy a truly memorable experience that delivers everything you would want from a tranquil beach vacation. Whether you are enjoying the different amenities in your room, sitting down to our mouthwatering continental breakfast, or just want to take the five-minute walk to the beach to feel the sand between your toes, our B and B delivers magical vacation moments. Reach out to us to learn more about upcoming availability. 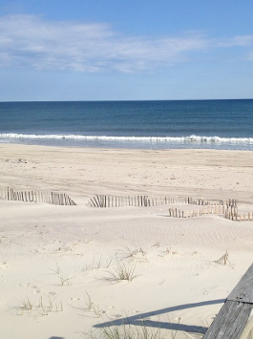 Contact us in Ocean Beach, New York, for more information about our continental breakfast. We look forward to showing you a great time at our B and B.